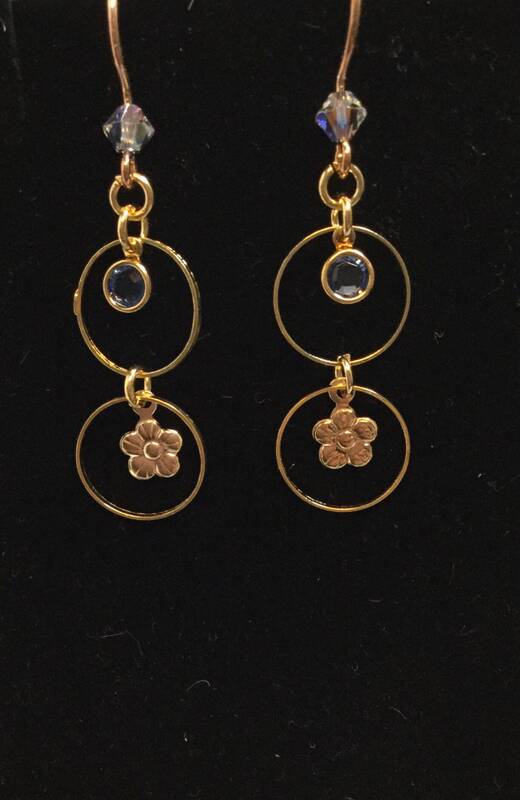 If you like your earrings light and delicate, then these are for you. 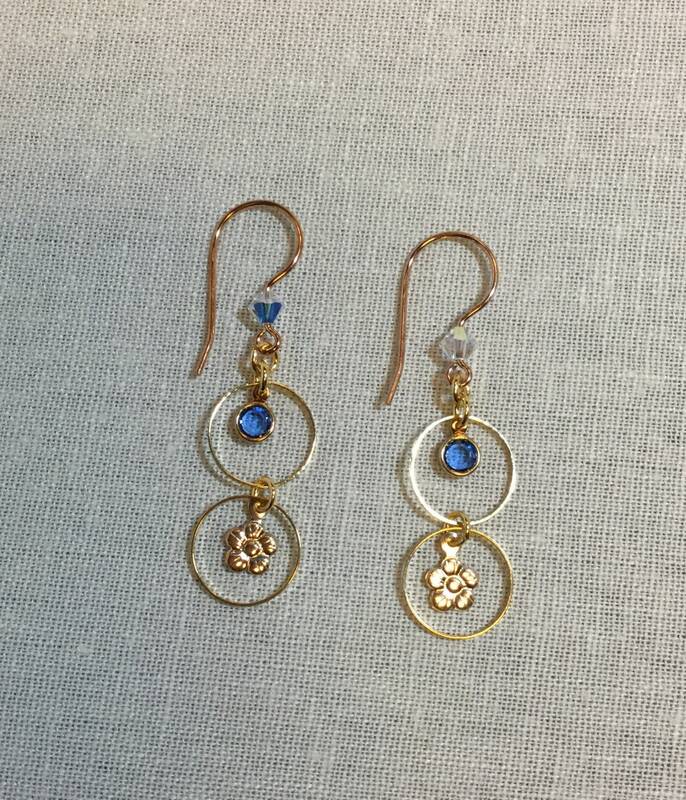 The thin gold rings frame a tiny gold flower and blue crystal drop. So lightweight, you’ll forget you’re wearing them.